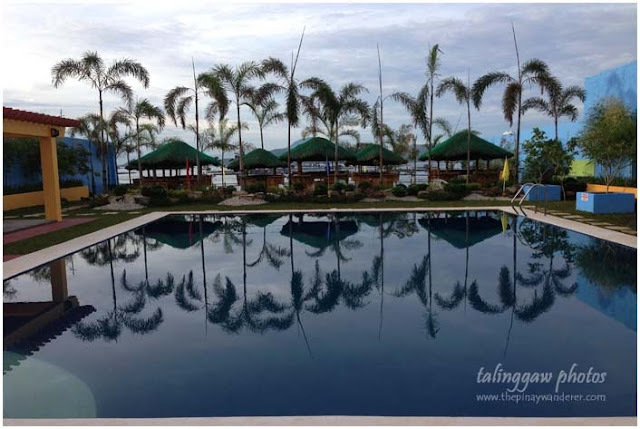 One week before our Taal Volcano hike, I called up a number of resorts for a one night stay. As mentioned in my Taal Volcano climb post, I was with my mom and nephews, one of whom is only 4 years old. So even though hiking Taal Volcano can be done as a day tour, I opted to stay in a resort. I texted/called up several numbers then, one of which I got from a blogsite. I confirmed it to him that we're coming and so I thought we have a place to stay. He didn't mention he's not the resort owner so I thought he is. And when I asked about the down payment, he said no need so again, I thought we're settled. I even texted him the night before we arrived, even during the trip on our way there, to confirm that we're coming. But when we got there, nah. Nothing! We have no place to stay! Instead, he brought us to another resort, more expensive than the one we agreed upon. I was so pissed I wanted to yell at him but of course, I didn't (though my expression says otherwise). I told him as calmly as I could muster that I thought we have an agreement. He tried explaining things but I didn't listen to him anymore. To avoid saying nasty things to the guide, I tried calling again one of the resorts I contacted before but they were not answering. Seeing me having problems contacting other resorts, the kind owners of the resort we were in offered us a lower deal, P3,500.00 (supposed to be P4,700 inclusive of breakfast) for a family room accommodation, exclusive of breakfast. Instead of calling and taking chances with other resorts, I decided to take the deal. And instead of continuing the boat deal with the first tour guide (whom I thought was the resort owner), I cancelled it. I ask the resort we are staying if they have Taal tour and they said yes, so I book with them instead. It's of the same price anyway. And besides, I don't want to take chances again with the same tour guide I first talked to. 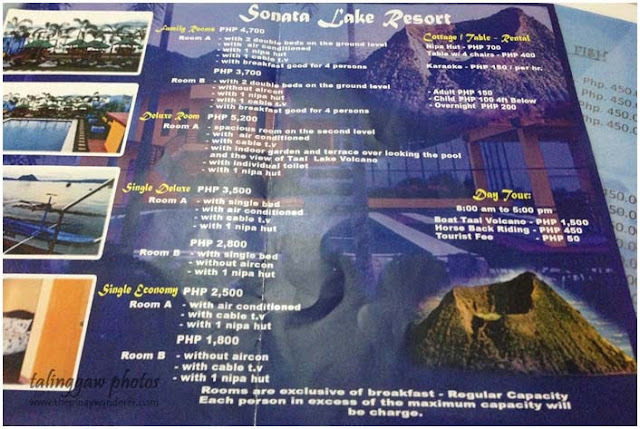 Here's the resort we stayed overnight before our Taal volcano climb, the Sonata Lake Resort. The resort looks new. And actually it is. The resort owner said it was opened just less than a month when we were there. 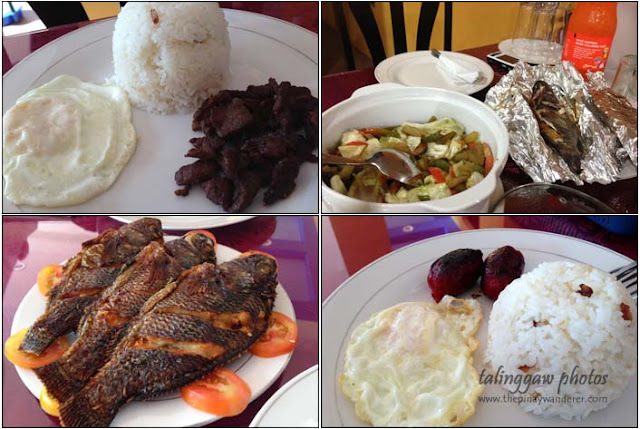 It has this small two-storey building with several room accommodations, two swimming pools (for kids and for adults), nipa huts, restaurant and videoke bar. They also offer boat rental and tour services to Taal volcano. The room we got is an air-conditioned family room at the ground level, with two double beds, a cable TV and a private bathroom/CR (no toiletries provided, by the way, and NO mirror, not even a small one anywhere in the room). The room is spacious enough for a family of four. The beds are comfy, the quilts and bed sheets are obviously new. In short, I was satisfied with our accommodation (without considering the price, that is). And so I thought we would have a comfortable and relaxing stay overnight. But as the saying goes, when it rains it pours. Notice the overcast sky in my photos? Yes, it rained that night, a heavy downpour that caused flooding in the Metro. In the resort? It's raining cats and dogs outside... and inside our room. I called the attention of the resort owner and they were so sorry for the inconvenience it brought us. She offered to bring us to their family's house which is near the resort but I declined. I just requested for another room, which I thought is dry. Unfortunately, it wasn't. Only not as flooded as the first room we had. We were the only staying guests at that time so we have the resort all for ourselves. 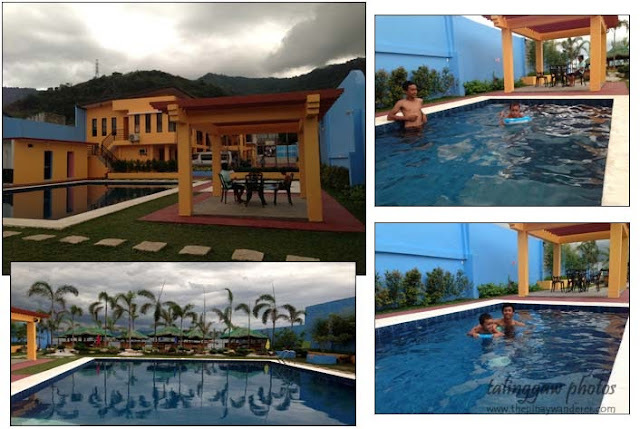 Before the rain fell, my nephews were enjoying the pool; even on the next day, after our Taal climb. Had it not rained the previous night, our stay here would have been great. ay naku kainis nang ganyan ha nakakawala ng excitement, pero saludo ako sayo kasi khit inis na inis kana mabait kpa rin dimo pinagsalitaan. Sana hindi kayo inulan para mas naenjoy mo. Also: parang ang weird naman na wala silang salamin? Hehe! Nakaka-disappoint ang ganyang pangyayari. Tsk! Tsk! Good for you dahil na-handle mo ng maayos. all's well that ends well sabi nga. buti you were still able to enjoy the pool that seemed exclusive for you. :) anyway, i salute you for still treating the guide nice. i'd have to admit, it has always been my weakness. I have a quick temper too but I try really hard, as in real hard, to control it. I usually leave to avoid saying nasty things. In this case, I can't 'coz we don't have our own transpo, we're just commuting, and it's hard esp. since we have a kiddo in tow. 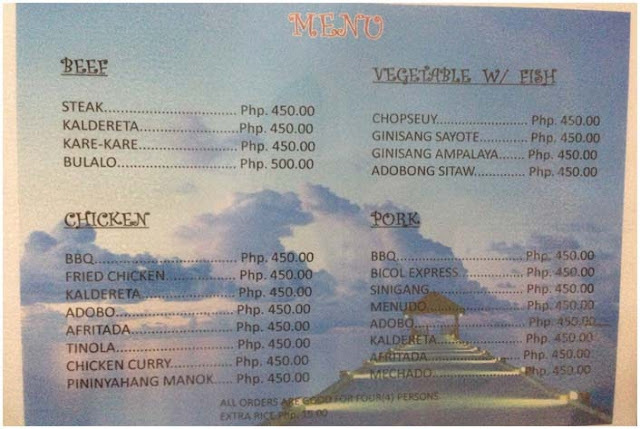 Natawa naman ako sa dami ng problema ng resort na yan na nakaka-bad trip pati na ang food na over priced but not delisyoso eh mukang ang ganda pa rin ng presentation mo sa pichurs ha ha ha. Dapat sis bayaran ka pa nila pabalik eh lol. 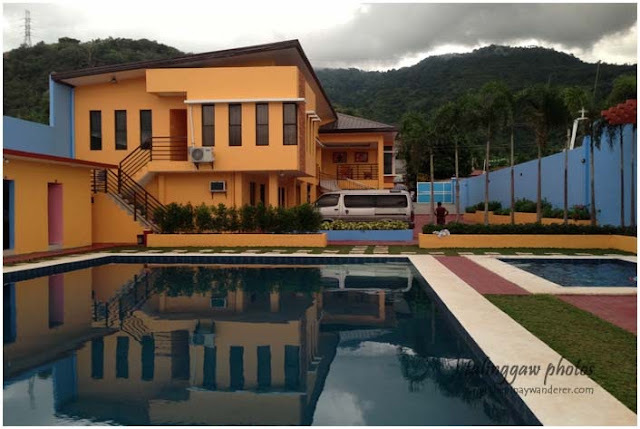 maganda naman sana yun resort sis, yun nga lang pangit pala pagkagawa at yun nga, sobrang mahal, 2500 lang yun family room (exclusive of breakfast) sa mga iba resort na tinawagan ko eh. pero siguro dahil nga sa mga problema, di nila kami siningil for extension kahit almost 3pm na ata kami nag-check out. They should lower their price, grabe kakabukas palang nakikipagkompetensya na sa mas kilala at luxury resorts, limited pa makakain mo for breakfast, walang fruits at juices. Di ako natuwa dun sa ginisang sayote etc four hundred fifty pesos talaga? Ang mahal siguro ng bayad sa kusinera hehe. But anyway, glad you were safe at kahit papano bago pa umulan ay nakahanap na kayo ng matutuluyan. Ingat next time! ang mahal talaga sis, kahit gusto ko pa um-order ng iba putahe eh di na pwede, sobra na sa budget etong trip na 'to. 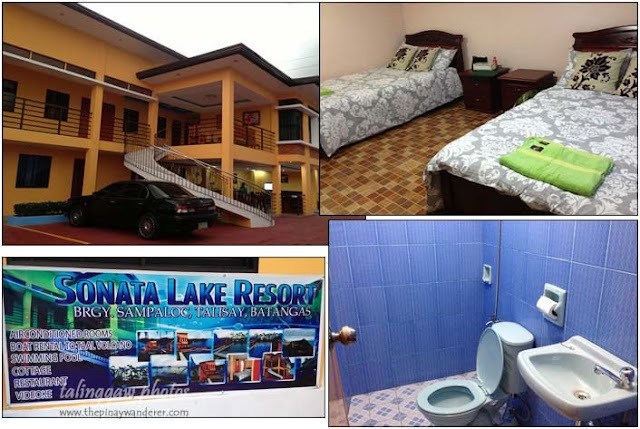 sana nga babaan nila rates nila at ayusin nila resort para di ma-disappoint mga guests nila next time.